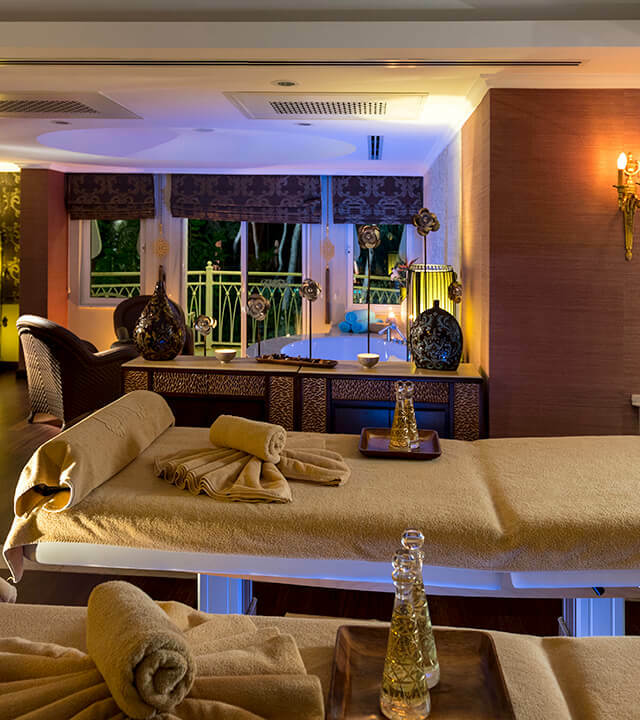 Discover the relaxing and therapeutical effects. The care purifying the body from dead cells is completed with traditional washing ceremony. Turkish bath is a special opportunity to refresh and renew the body and mind. It is nearly a traditional ceremony completed with application of silky moisturizing during a calm, light massage following the special peeling with washing glove in this luxurious and strengthening discovery. Enjoy a gorgeously relaxing peeling and foam massage. Traditional peeling removal of old dead skin cells from the body. All the muscles relax and smiltaneously with the help of the naturel olive oil soap. Complete your treatment with an application of silky moisturizers through a tranquil light massage and enjoy your tea ceremony. The experience starting with magnificent welcoming ceremony continueswith four-hand bathing with washing glove and foam massage ensuring perfect relaxation. Traditional washing glove method purifies the body from dead cells. Four hands move on the body simultaneously. Natural olive oil soap helps to relax all body from dead cells. Four hands move on the body simultaneously. Natural olive oil soap helps to relax all muscles. Following the care completed with light massage providing silky moisturizing you can enjoy your F&B amerities.